Hi, Xiaomi launched MIUI 10 Global stable Rom. 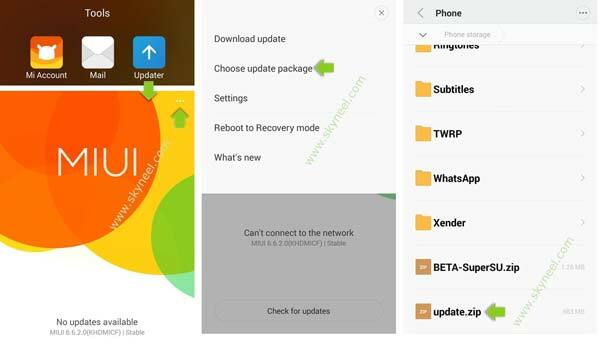 This is a MIUI 10.0.1.0 Global Stable Rom for Redmi S2 and here is an easy and safe tutorial for install new update Xiaomi Redmi S2 MIUI 10.0.1.0. Xiaomi Redmi S2 is a Smartphone phone which is available in Dual SIM with 5.99 inch display. Xiaomi Redmi S2 has a 12 megapixel camera, 5 megapixel secondary cameras and runs a Qualcomm Snapdragon 625 chipset. 1. All-new full screen gestures will change the way you interact with your device. They can do everything you used buttons for, except they’re faster, smarter, and more convenient. 2. All-new UI is tailored for full screen devices and lets the content take the front stage. 1. You won’t get tired of natural and ever-changing sounds of the new MIUI. 2. We simplified system sounds and applied smart filters, so you’ll hear something only when you need to. 3. Ambient sounds of the forest, beach, drizzle, stove fire, and summer night will help you to relax and focus on what’s important. 1. AI brings Portrait mode to single camera devices! Blur the background on your portrait shots and look as gorgeous as you feel. 2. Other system apps (including Clock and Notes) got a major revamp too. Step 1: Download MIUI 10.1 zip file and rename this zip file as “update.zip” like miui_HMS2Global_V10.0.1.0.OEFMIFH_34f6fa6afb_8.1.zip to update.zip. Step 2: Connect your phone to PC and copy the zip file into your Phone Internal Storage. 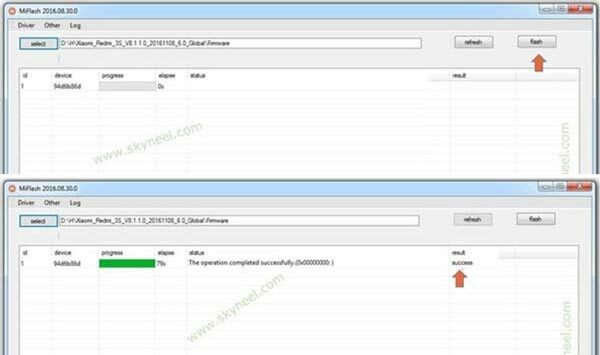 Do not copy the zip file into any folder or SD card!! Step 3: Go to Updater App from your phone app menu, tap on the setting icon, it is a 3 dots icon on top right corner (see in this image) and tap on the “Choose update package” tab. Now you can see your phone storage, Scroll down and tap on the update.zip file. See in this image. Step 4: Now your phone is going to Reboot in recovery mode and Rom flashing process start. Don’t interrupt this process, it might to take 4-6 minutes for your phone to first boot on MIUI 10.0.1.0 Global stable Rom. Step 1: Download and install Mi Flash Tool and download Xiaomi Redmi S2 MIUI 10.0.1.0 FastBoot stable Rom and extract zip or rar file in desktop on your PC. Now Power Off your device and long press volume down and power button to FastBoot mode. See in this image. Step 2: Your phone is going to FastBoot mode. Now, connect your Xiaomi device to computer using USB cable. 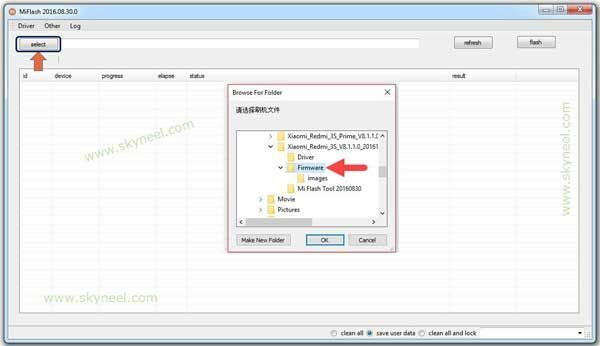 And Open Xiaomi flash tool and locate the Xiaomi stock firmware and click on refresh button, this will allows Xiaomi flash tool to recognize your device. Step 3: Now, click on Flash button to start flashing process. Once, flashing process is completed you will see Success message in Xiaomi Flash Tool. After install new update Xiaomi Redmi S2 MIUI 10.0.1.0 Global stable Rom, you can root your phone because root allows you to use a maximum of your phone without any restrictions. After root you will install custom apps, Rom and custom setting in your phone. But first read Root Advantage and Disadvantage by this article. I hope you like this new update Xiaomi Redmi S2 MIUI 10.0.1.0 Global stable Rom installation guide from which you will be able to easily install new update Xiaomi Redmi S2 MIUI 10.0.1.0 Global stable Rom without any extra efforts. If feel any problem in this guide then please use comment box. Thanks to all.